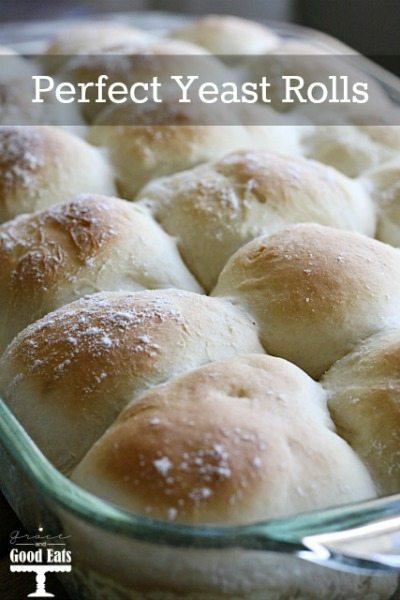 These Perfect Yeast Rolls may take a little more time to prepare but they are worth every step! 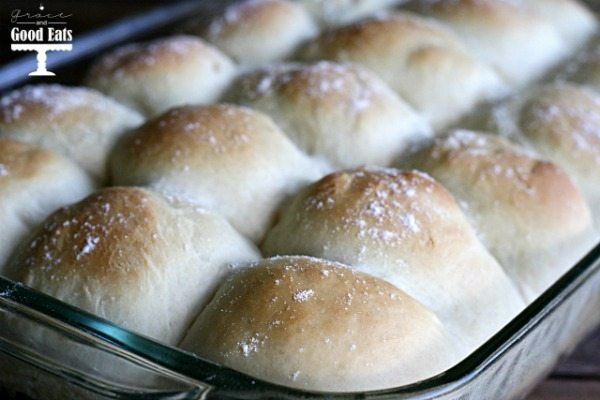 Baking with yeast is easy with this yeast rolls recipe. My husband makes these Perfect Yeast Rolls for us every time we host special occasions at our house, or when I actually remember to remind him early enough for dinner. 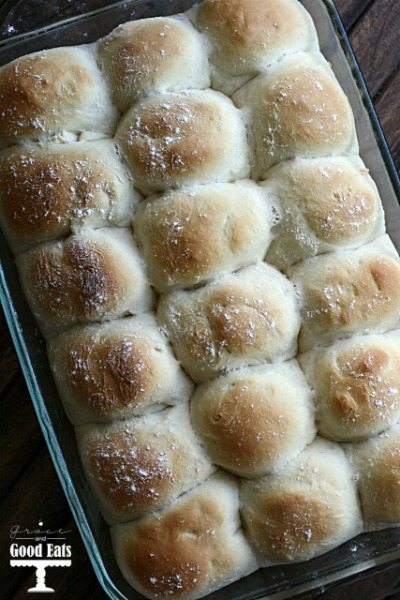 🙂 They may not be quick 30 minute dinner rolls, but stick with me, they are worth the time! These yeast rolls need time to rise to perfection, but they don’t require a lot of fuss. The result is a fluffy, yeasty, delicious roll. This recipe can easily be doubled if you need to make a big batch for a crowd. We always end up with a few extra, and they are delicious the next morning with sausage and gravy. I like to sneak one fresh from the oven and drizzle it with honey. YUM. Once you understand the basics of baking with yeast you will be making light, airy, fluffy breads and rolls in no time. In a nutshell, yeast eats various sugars and excretes alcohol and carbon dioxide. Alcohol and carbon dioxide are what the pockets in bread are filled with as bread bakes. 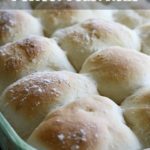 There are a few varieties of yeast, but this recipe for Perfect Yeast Rolls uses “active” yeast, instead of “instant” yeast. Active Dry Yeast is the most commonly available form for home bakers. It’s available in ¼-oz packets or jars. The yeast is dormant, needs to be “proofed” and rehydrated before using. These yeast rolls result is a fluffy, yeasty, delicious roll. This recipe can easily be doubled if you need to make a big batch for a crowd. Heat the milk in the microwave for one minute, stirring at 30 seconds. Sprinkle the yeast over the top of the milk, let sit undisturbed for five minutes. Add sugar, salt, butter, and egg. Mix thoroughly. Gradually mix in the flour. Add additional flour if needed. The dough should no longer be sticky, but not dry. Cover; let stand one hour. Punch the dough down, cover, let stand another hour in a warm place. Punch the dough down again, cover, let stand another hour in a warm place. Punch the dough down, and pinch off into 18 equal portions. Should be slightly larger than a golf ball. Roll each portion of dough into a ball. Place in a greased 13x9 baking dish. These rolls go with so many recipes. Looks great and easy to make! Would love to try these sometime! Thank you for linking up with us @ #HomeMattersParty . We would love to have you again next week. These would be perfect for Easter! Thanks for sharing at Merry Monday –pinned! Nothing like a soft, hot dinner roll to complete a meal…..not to mention the smell of bread cooking. As long as I plan these into the day, these rolls are easy enough to eat any time! I’m in charge of rolls this Thanksgiving so totally going to make these! Thanks for sharing. Saw these at Merry Monday Link Party. These look amazing and simple! I am definitely going to make them…I think my family would love them with dinner. Thanks for sharing. YUM, we love homemade bread and rolls. I am definitely pinning this!